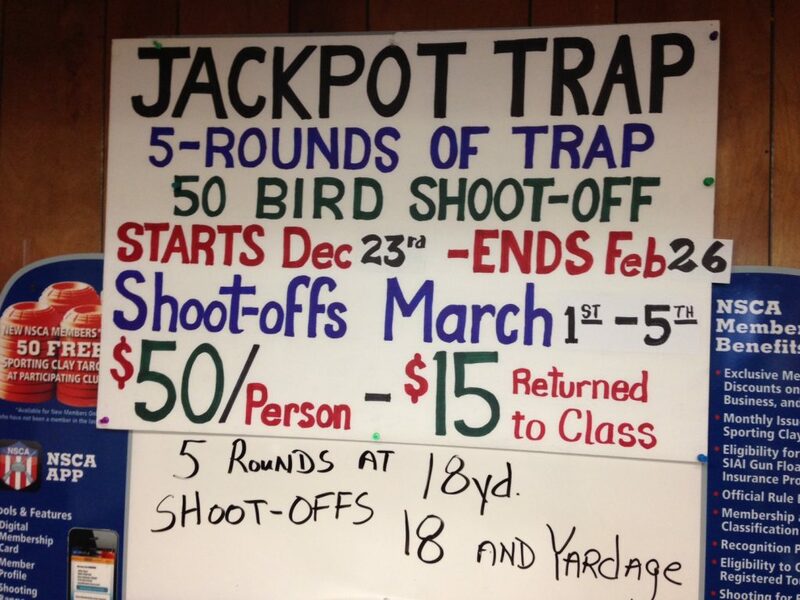 Includes 5 rounds plus 50-target shoot-off for $50, $15 returned to class. Shoot anytime before February 26th. Sign up now at the Club !